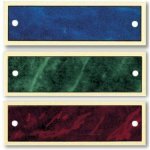 This Marble Notched Perpetual Plate is made of brass and hase gold borders. 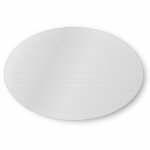 The Perpetual Plate has a rectangular shape with straight corners and a hole on the left and right. 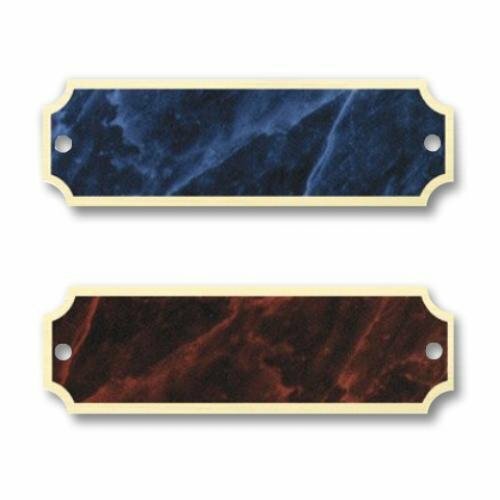 This perpetual plate is available in Blue and Sienna Marble. This Marble Perpetual Plate is made of brass and hase gold borders. 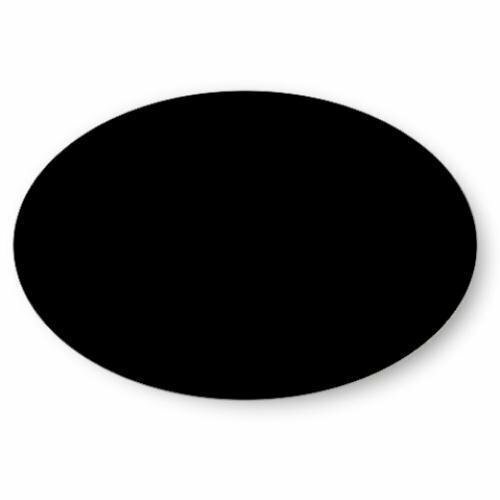 The Perpetual Plate has a rectangular shape with straight corners and a hole on the left and right. 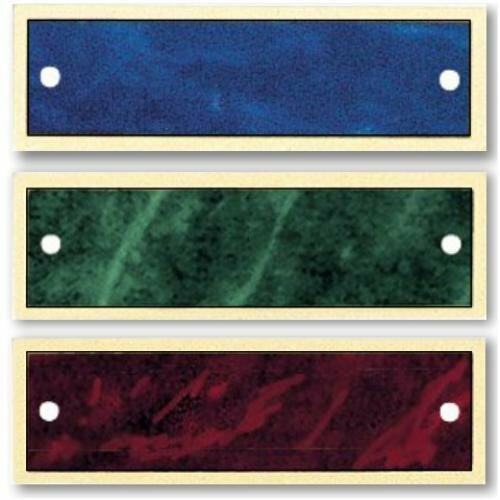 This perpetual plate is available in Blue, Green and Sienna Marble. 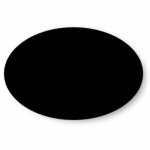 The Oval Black Brass Perpetual Plate is laser engraved. This perpetual plate has a gold border. 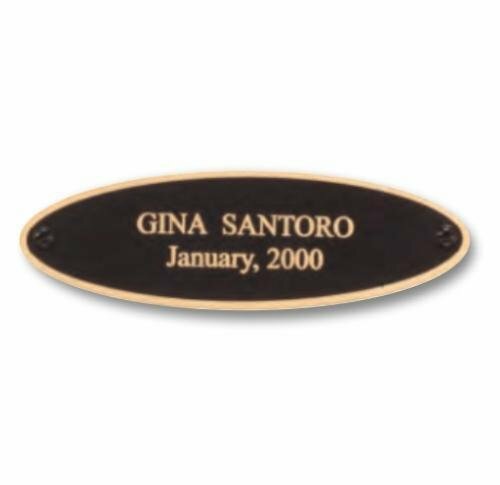 The Oval Black Brass Plate is laser engraved. 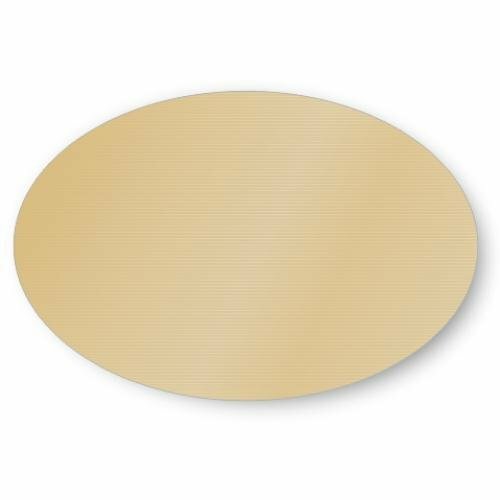 The Oval Gold Aluminum Plate can be personalized with a full color imprint. However, a black imprint looks quite impressive on the gold plate. The oval silver aluminum plate can be personalized with a full color imprint. However, a black imprint looks quite impressive on the gold plate. 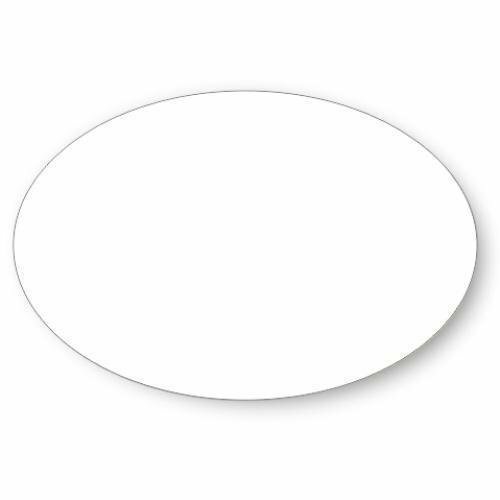 The Oval White Aluminum Plate can be personalized with a full color imprint. This is a replacement engraveable photo holder for the APT205 plaque series. The Round Black Brass Plate plate is laser engraved. The round satin copper plate is an aluminum plate with a slightly brushed finish. 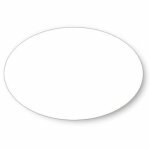 The round plate is personalized with either a color or black imprint. You can even have a photo imprinted on the plate.